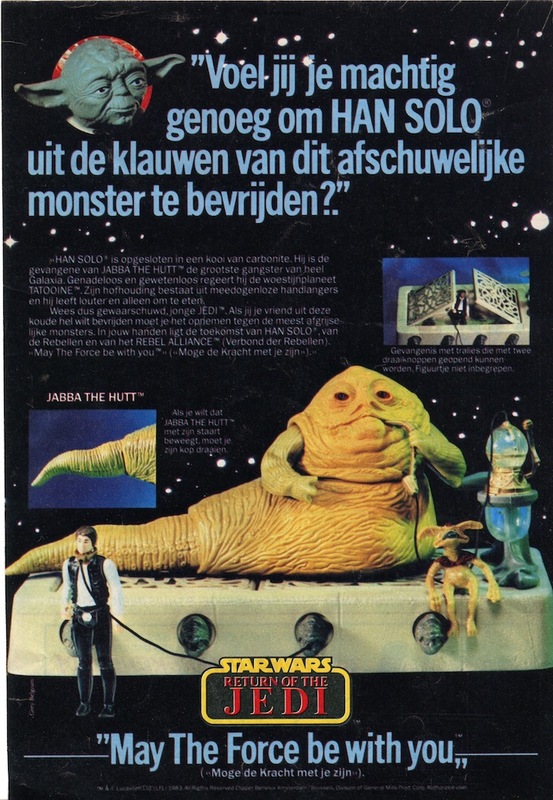 This is a Dutch ad for the vintage Jabba the Hutt figure. Unlike my “Do you dare recreate all the adventure?” ad slick, which was one of the original pieces of photo art sent to magazines for them to photograph, this is just a page that has been cut from a Dutch magazine, but it’s still pretty cool. “HAN SOLO is locked in a cage of carbonite. 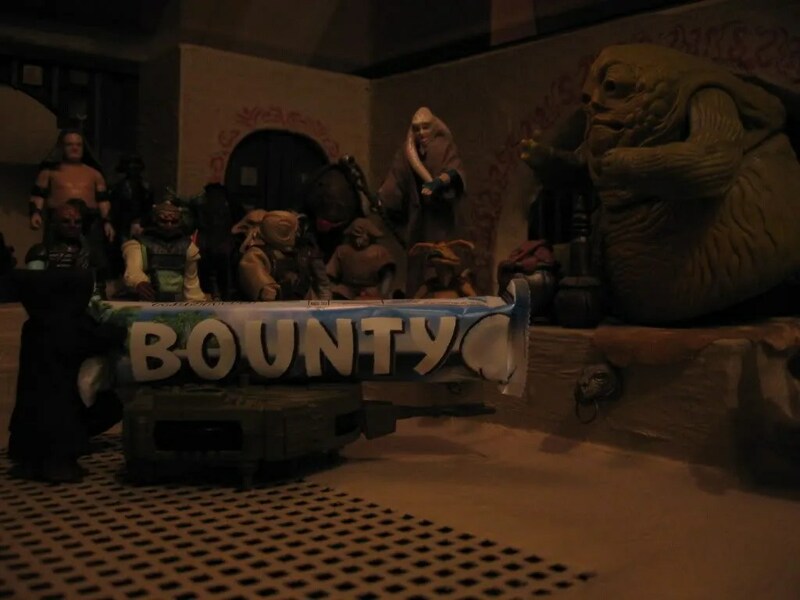 He is a prisoner of Jabba the Hutt, the biggest gangster in the galaxy. Ruthless and unscrupulous, he rules the desert planet TATOOINE. His entourage consists of ruthless henchmen who live merely to eat. (Caption) Use the two knobs to open the prison bars. Figure not included. (Caption) Turn Jabba the Hutt’s head to make his tail move. I have a similar thing but from a German magazine. It’s surprisingly nostalgic as i remember looking through magazines and coveting the Star Wars toys in there. LOL, many a Christmas and Birthday list has been compiled from looking in those magazines. I’m Flemish and I can confirm that the translation is indeed correct ! BTW, your translation was near perfect, I could only see one little detail which was missed. Your blog looks great and I bookmarked to read your entries. Thanks for the correction. It’s cool to hear from someone who remembers seeing this ad when it originally appeared.